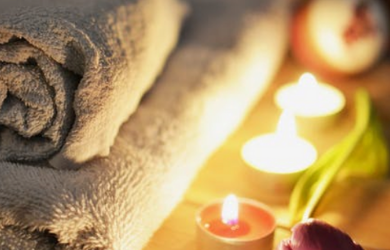 Today's Deal is offering a relaxing chocolate mousse wrap PLUS a 50 minute massage for just $99! The Chocolate Mousse treatment is decadent! First you will receive a chocolate body shampoo to gently cleanse and prepare the skin. Second, a chocolate body scrub will be used to exfoliate your skin before we finish with a full-body chocolate wrap. Your skin will be left soft and silky smooth. The Decadent Chocolate Mousse Wrap will leave your skin Soft and Silky! The 50 Minute Massage is both Relaxing and Soothing: Using light pressure and long strokes that will leave you feeling Stress-Free! The Perfect Treat for Yourself or even your Significant Other! Don't Delay, Get Relaxed Today! Limit 1 Per Member/ Per Visit. Expires on June 03, 2019. Limit 1 Per Member/ Per Visit. Not to be Combined with any other Offer. Tax & Gratuity not Included. No Cash Value Refunds are available on all unused vouchers within 14 days of purchase date. No refunds or credits are available after 14 days. If for some unforeseen reason a business closes while before your voucher expires a credit for your purchase price will be issued into your account to use on future deals. Expired vouchers are not available for credits or refunds under any circumstance.